The final round of the 2018 PGA Championship was one of the greatest days of golf in recent memory, and the TV-watching public agreed. Sunday saw Brooks Koepka win his third major in just over a year. But there's little doubt who truly captivated the massive galleries at Bellerive and millions watching at home. A 42-year-old Tiger Woods summoned some of his old magic to fire a six-under 64 and nearly catch Koepka. Tiger’s attempt at re-entering the major winner's circle after a 10-year drought translated into monster TV ratings. Tiger Woods put in a thrilling performance Sunday at the 2018 PGA Championship. On Monday CBS Sports announced that the average viewership of the PGA Championship was up a whopping 69% over Justin Thomas's victory last year. Furthermore, they represent the highest final round ratings since the 2009 PGA. https://twitter.com/CBSSportsGang/status/1029003712725958656 Who was the main draw in '09? Tiger Woods, of course. Woods carried the lead into the final round of that event at Hazeltine CC in Minnesota. You may recall what happened that afternoon: Unheralded Y.E. Yang shocked the world by taking down Tiger in a head-to-head battle. It was the first (and still only) time Woods lost the 54-hole lead in a major. The scandal and repeated injuries soon followed. 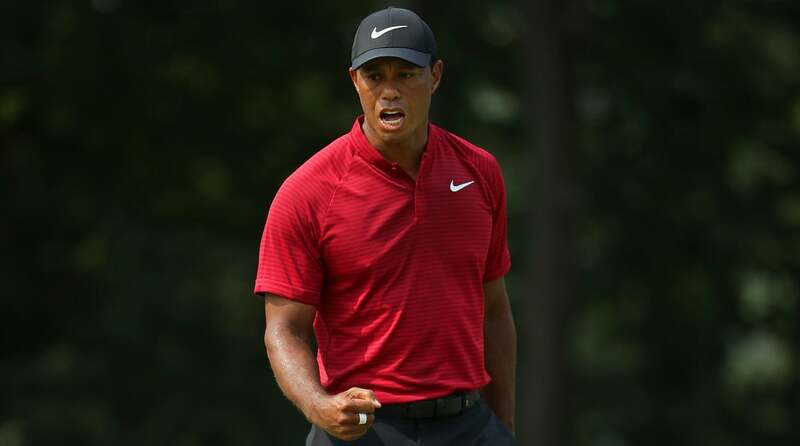 Woods has rarely been in contention since, which helps explain why the public was so eager to catch a glimpse of the formerly invincible Woods turning back the clock. Here are the cities that earned the highest ratings from Sunday's broadcast, via CBS Sports: Top Five Rated Markets: 1. St. Louis – 11.5/24 2. Fort Myers – 11.2/22 3. Kansas City – 10.4/22 4. Tampa/St. Petersburg – 9.8/21 T5. Dayton – 9.5/19 West Palm Beach – 9.5/18 With the PGA heading to Bethpage Black in May next year, even better ratings could be right around the corner. That is, if a healthy Tiger Woods is still in the mix.